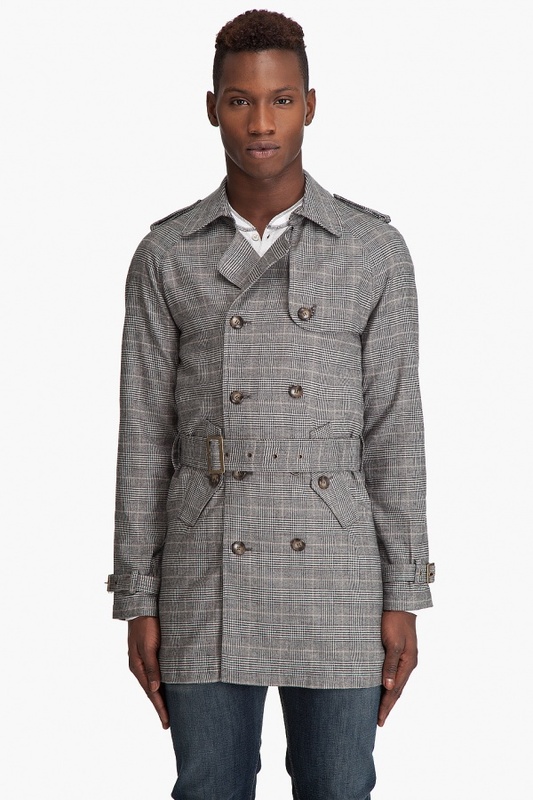 Shades of Grey offers a nicely patterned jacket with this grey plaid and herringbone trench coat. The double-breasted jacket also features a spread colour, epaulet shoulders, single button shoulder flap and self belt. The fully lined cotton coat features polyester lining, and is available online now.